After being founded in 1985, thirty years of experience has allowed TSPO to truly make an impact in Taiwan’s music history and to become well known well beyond its borders. The success of this orchestra is all thanks to the hard work of the members, the unending love of their fans, and the support from governmental institutions. The founding member of the orchestra, Henry Mazer had a very unique take on music and training. Mazer believed in the necessity of a strong sense of belonging and honour between members in the orchestra. Mazer’s music became so iconic that the “Mazer Sound” became a well-recognized term in the world of Taiwanese music. His musical taste is unique and distinctive from the rest of the music world. In the 18 years he spent devoting his genius to Taiwan’s classical music scene, he inspired and taught many musicians that were keen to learn from him. In 2015, TPSO inherited Mazer’s spirit and ideology and formed the TSPO Youth Orchestra from it, to keep his ideas alive. 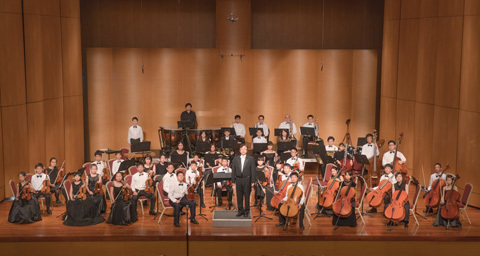 TSPO Youth Orchestra has already set up departments in Taipei, Taichung and Koushung, to pass Mazer’s ideas and the “Mazer Sound” on to young and enthusiastic musicians. 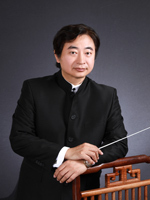 Wang Ching-Hsien is the conductor of Mazer Youth Philharmonic Orchestra. He also acts as a jury judge at various music competitions. Wang Ching-Hsien graduated from the music faculty of Taipei National University of the Arts, majoring in violin and orchestral conducting respectively. Along his musical journey, Wang Ching-Hsien had learned from many musicians, professors, and mentors. Between 1992 and 1996, Wang went abroad to Paris to further pursue his musical education, where he was taught by violinists including Annie Jordy, Marie-Christine Millier, Christine Chretien, and Maurice Moulin. Wang Ching-Hsien has been rewarded third place of the violin contest U.F.A.M.. During his stay in Paris, he also learned conducting from Master Jean-Jacques Werner. Besides learning from various violinists and competing in music contests, Wang was also selected to attend master classes coached by Jorma Panula, Isaac Karabtchevsky, Régis Pasquier and Paul Rouger. In 2009 and 2014, Wang Ching-Hsien was selected to attend Italy’s Musica Riva Festival, to lead orchestras including Orquesta Reino de Aragon , Orchestra della Pace della Erzegovina and Junge Philharmonie Salzburg’s. Moreover, Wang Ching-Hsien had the opportunity to work with Master F.F. Moncher and Gianluca Campo. In 2006, Wang Ching-Hsien conducted the Taipei Percussion Orchestra and performed contemporary composer Wang Sue-Ya’s work “la musique contemporaine <Inhomo II>” – pour 6 percussion avec amplification. In November 2010, his own symphony orchestra “The City Light” performed with French flutist Patrice Bocquillon. In 2015, Wang Ching-Hsien conducted the Chiuko Traditional Orchestra and performed the famous Chinese piece The Butterfly Lovers violin concerto with soloist Professor Su Hsien-Ta. Wang Ching-Hsien has performed in France, Germany, Russia, Italy, America, Czech Republic, Hungary, Poland, Finland, Greece, Estonia, Latvia, Lithuania, China, and many countries. He has also attended music festivals including Prague Spring, Warsaw Autumn, St. Petersburg Daylight Festival, Riga Festival, Beijing New Year’s Concert, Dairen Festival. Apart from teaching at many schools, Wang Ching-Hsien is also part of the Taipei Philharmonic Orchestra, where he is one of the violinists.